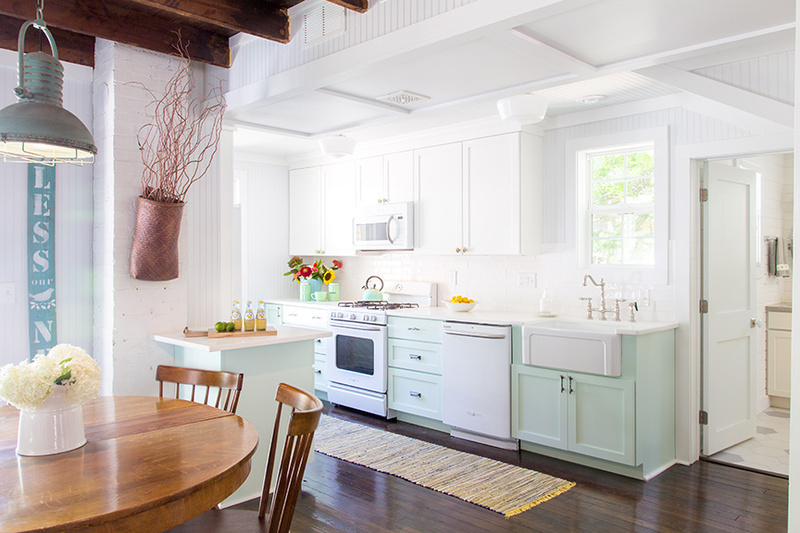 The kitchen in this summer cottage was motivated by color. Tucked between two bluffs, the vacation cottage is full of charm. As a second home, designer Karr Bick had to be frugal in design decisions. To work around the challenge, the designer paired dreamy, colored custom cabinetry for the lower base section with white stock wall cabinets. Both lines had the same door style, which helps make the look more cohesive. To make the layout more efficient, the range was moved to the sink wall and the refrigerator was coupled with a pantry. The designer nestled in an overhang for a stool next to an old chimney. The quartz tops are rugged, so the owners don’t need to worry about stains while on vacation. Retro appliances and porcelain knobs are the finishing touches on this colorful cottage kitchen. This kitchen is fun and fresh. The designer fit a lot into a small space and really configured the layout wisely. 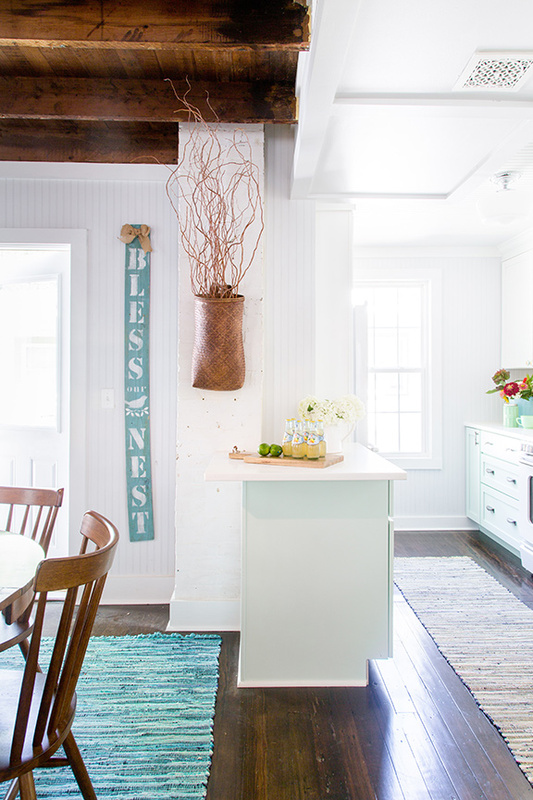 The charming touches add to the cottage feel.